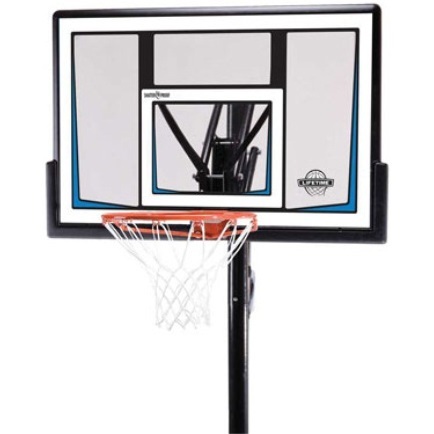 Create a changeable basketball court in your own driveway with this portable basketball hoop from Lifetime Products. 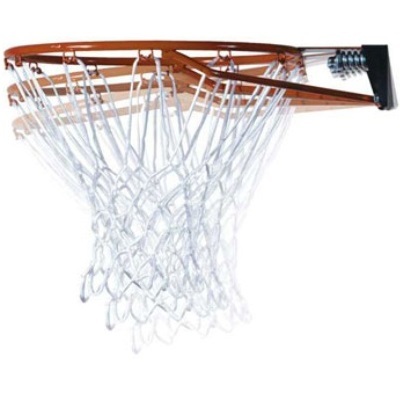 The 90083 features a 50 inch polycarbonate backboard, an adjustable backboard height, and a spring-loaded rim. The backboard height is adjustable up and down using the Speed Shift. The rim height can be set at 8 to 10 feet adjustable in 6 inch increments. Easily move this system to the desired location on your court with the wheels on the portable base. Order your Lifetime basketball systems here. This system includes a factory 5-year warranty from Lifetime Products. Backboard material thickness: 1.9 mm. The Slam-It rim features a double-spring compression mount and an 18 inch diameter and a static mount to the backboard. Includes a 70 gram all-weather white net. Pole size: 3 inch diameter. Backboard is height adjustable using the Speed Shift design. Rim height moves from 8 feet to 10 feet in 6 inch increments. Approximate weight of the base when filled with water: about 248 lbs. Approximate weight of the base when filled with sand: varies depending on the density of the sand being used, but typically increases the weight of the base 1.5 times the weight of the base filled with water; about 372 lbs. Base has wheels that assist you in moving the system to the desired location. System weight: about 64 lbs. Includes a 5-year factory warranty from Lifetime Products. Approximate shipping dimensions: 51 inches x 32 inches x 14 inches. Assembly Not Hard, But Takes Time. Q: How does the Speed Shift height adjuster work? 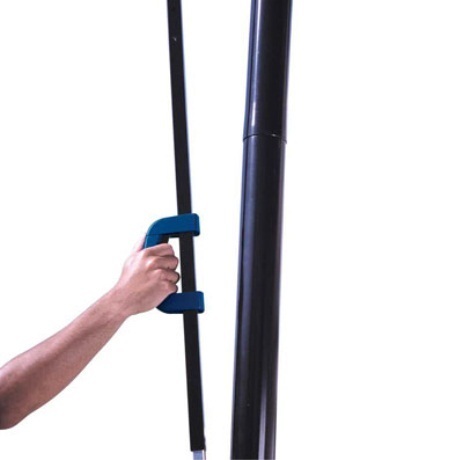 A: The Speed Shift uses a single handle mounted to the back of the main pole of this system. To activate the mechanism you squeeze a trigger on the handle and slide the mechanism up and and down and release the trigger at the desired height. The height adjustments available are in 6-inch increments. Q: Is this basketball system good for young players? A: Yes. 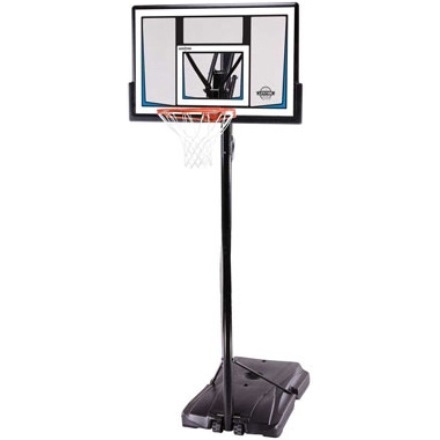 The price point and available features for this system make it great basketball goal to introduce your young player to the game of basketball. With its adjustable rim height, the 90083 can also grow with the player as they develop their arm strength. The rim can adjust all the way up to regulation height, 10 feet. Q: Are polycarbonate or acrylic backboards better? A: Both materials provide an excellent backboard. For backboards of similar dimensions and thickness, polycarbonate tends to have a longer life, while acrylic tends to provide a better rebound. Q: Should I fill the portable base with water or sand? A: Either substance is fine. Make sure you follow the directions provided by Lifetime Products for filling the base. Please note that filling the base with sand does provide great weight to offset the system, which can provide greater stability, but makes the system more difficult to roll to different locations if needed. Fast Shipping: Orders for the Lifetime 90083 generally leave the warehouse within 1-2 business days. Dimensions: 51" x 32" x 14"